Alcoholism is on the rise in Iowa, as with many other states of the US. Luckily, the residents can get the needed help by turning to well-trained professionals who will provide assistance and support. Call these alcoholism hotlines to get started. Delphi Health Group, a network of alcohol addiction treatment facilities, provides varios treatment services for alcohol addiction. Treatment and rehabilitative services offered by the group are usually covered by insurance. Representatives are available around the clock, every day of the year to provide free counselling, treatment advice, and information on alcohol addiction. Call the alcohol helpline free number at (866)-520-2708 to speak with an agent. Calls are toll-free and treated with 100% confidentiality. 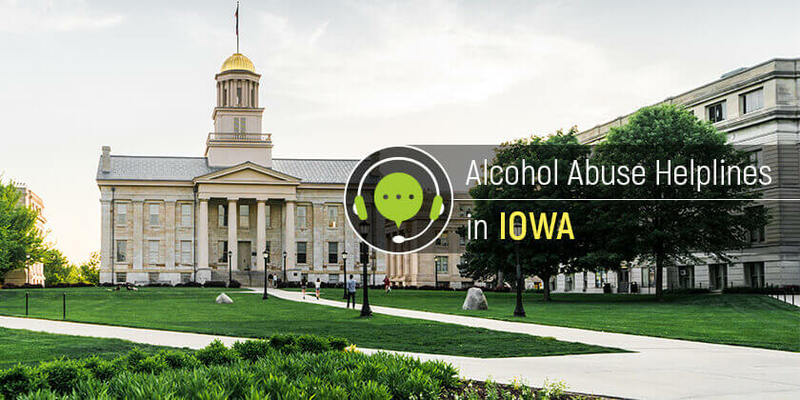 Iowa Department of Public Health provides resources and information about alcohol treatment and prevention services available in all 99 counties of Iowa. Representatives also provide counselling, treatment advice, and treatment recommendations to callers. Call the department at the alcohol helpline (855)-581-8111 to speak with a representative, or send a text to (855) 895-8398. The National Alliance for Mental Illness (NAMI) in Iowa provides information and referral services for clients struggling with alcohol addiction and other mental illnesses. Call the alcoholism helpline at 1-800-273-8255 or the NAMI information line at 1 (800) 950-NAMI (6264). Calls to the NAMI information line can only be made Mondays to Fridays from 10 AM to 6 PM. Get information on treatment programs available in Iowa by calling the Substance Abuse and Mental Health Services Administration (SAMHSA) National Helpline 1-800-662-HELP (4357). Representatives provide treatment resources and advice, as well as appropriate referrals for callers. The helpline provides assistance any time of the day, every day of the week. Calls can be made in English and Spanish. Call any of these alcohol hotlines to access treatment and recovery services in Iowa.